A Grade II listed coach house conversion that is unique, spacious and riddled with character, history and charm. It was once part of the Rumsey Estate consisting of four properties, Rumsey House, Rumsey Coach House, Rumsey Barn and the Granary. The first floor of the property consists of a spacious gallery landing, four double bedrooms, a very generous master suite, spacious luxury family bathroom, a further first floor wc and a spacious, multiple use loft room. The ground floor boasts three receptions including a large kitchen/family room, formal dining room and large living room. There is also a converted garage currently used as an office, a utility room, shower room and an impressive entrance hall. 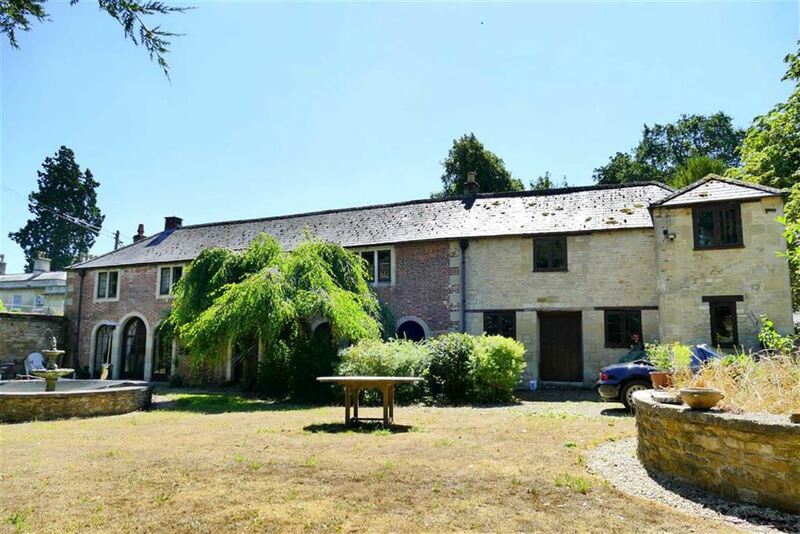 Externally the property consists of a formal front garden with fountain, fantastic central courtyard, 34-ft stable with original stalls and tack room. 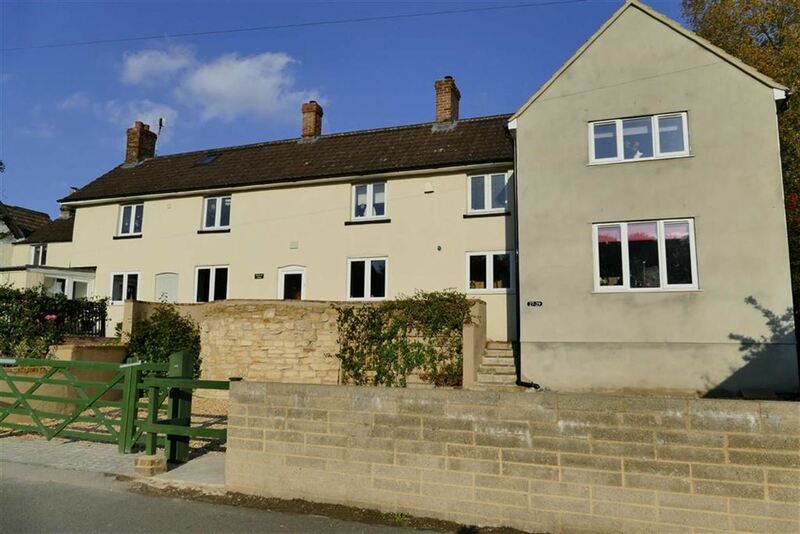 The property shares a long drive located between Derry Hill and the market town of Calne and is just north of Bowood House and Gardens. There is easy access to Bath, Bristol and the west and London and the east via rail and motorway. 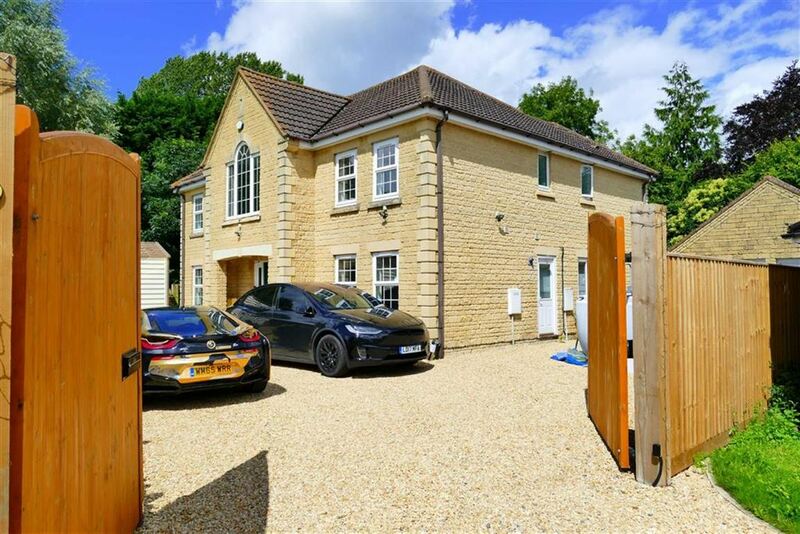 A home that is placed in a magnificent location with far reaching countryside views, The home has large living spaces that are filled with quality and are organised to match the living expectations of today. The living room with Inglenook, dining room and large luxury kitchen all connect to create a very special environment. A 'Grande' staircase leads to a gallery landing with a large arched countryside viewing window. The ground floor includes two further receptions, a formal hall, cloakroom and utility. There are five bedrooms complemented by two en-suites and a bathroom. The master also has dressing. Outside electric gates take you to a six vehicle drive and double garage. The gardens are organised for those with a busy lifestyle, relaxation and entertaining in mind. There is a countryside view deck and a landscaped garden with woodland backdrop. There is double glazing and gas central heating. 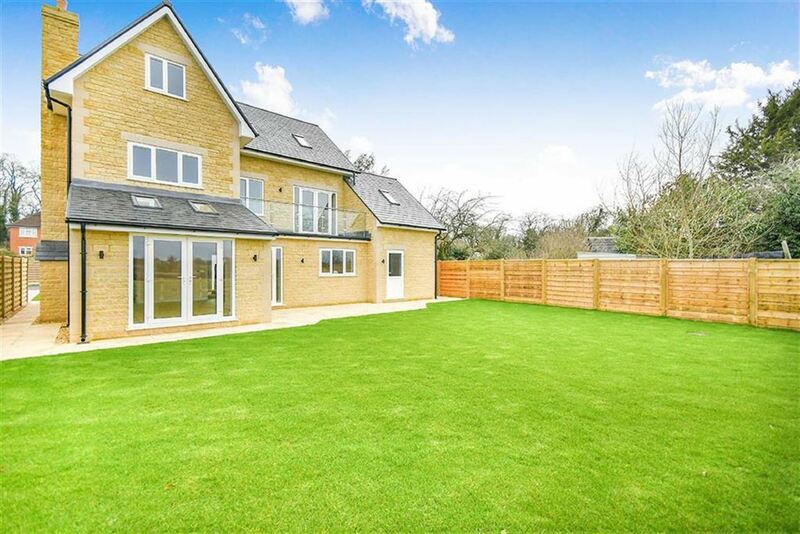 NEW BUILD THIS EXECUTIVE DETACHED 5 DOUBLE BEDROOM NEW HOME IS PLACED IN A MAGNIFICENT LOCATION BACKING ONTO OPEN FARMLAND WITH FAR REACHING COUNTRYSIDE VIEWS. THE HOUSE IS SITUATED IN A PRIVATE, NON-ESTATE, EXCLUSIVE DEVELOPMENT OF JUST 3 NEW HOMES. Accommodation is expansive and set over 3 floors and the very well thought out design offers everything a family would require. The ground floor features a spacious greeting hall with doors giving access to the cloakroom, lounge, study and kitchen/dining/family room. The lounge and separate study offer quiet and space whilst the open plan kitchen/Dining and Family Room with the imposing 6ft Stone Fireplace will be the heart of the home, whilst looking out to the rear on some exception countryside views. The first floor offers a master suite consisting of a bedroom with doors leading to the dressing room and large en-suite shower room. One of the unique features to this beautiful home is the stunning balcony accessible from the master bedroom where you can simply sit and take in the panoramic views and watch the nearby Alpacas grazing. There are two further double bedrooms and a family bathroom. The second floor offers another two double bedrooms and a shower room. The high specification to this home offers: Bespoke kitchen with Granite work surface - Piped underfloor heating to ground floor- Rain sensor Velux style windows to the family room - Imposing 6ft Stone Fireplace with Granite Hearth - Remote Control operated garage doors - Glass Balustrade Balcony accessible from the Master bedroom carpets and hard flooring - landscaping with outside tap and external lighting. Parking is provided via a private brick paved driveway and garage. Spectacular! This quality home has a countryside boundary and accommodation that boasts six bedrooms that includes a 19 ft x 15 ft master bedroom. The gardens are landscaped and embrace the stream boundary with waterfall and pond features. The ground floor gives you excellent space to live and entertain. There is a 25 ft x 17 ft living dining kitchen, a 18 ft x 12 ft living room, a 16 ft x 12 ft family room and a conservatory. The ground floor has a guest cloakroom, utility boot room and stone floor halls. Three en- suites and a family bathroom complement the bedrooms and there are wardrobes to the majority. Outside you are greeted by a sweeping gravel drive that leads to a converted garage. The gardens offer lawns, stream side decks and patios giving you numerous places to entertain, relax and play. Features include double glazing, gas central heating, stone and wood floors. A substantial detached period home that is absolutely overflowing with quality finishes and features. Originally two cottages the home has great flexibility of living with a section ideal as an annex. The first floor has five bedrooms that include a wonderful master bedroom with dressing room and en-suite. This floor also features a family bathroom and a Jack & Jill en-suite. The ground floor has numerous separate living areas. These include a 21 ft x 22 ft vaulted main living space, a second living room of 21 ft x 11 ft, a vaulted play room of 26 ft x 9 ft, utility and a breath taking living dining kitchen of 22 ft x 12 ft 10. The west wing has an office, bedroom six, boot room and a shower room. The garden is generous in size and there is gated parking for multiple vehicles. Fireplaces, underfloor heating, vaulted ceilings, a well, exposed beams and stonework all feature.